After presenting his Diynamic debut „Reaktor“ on the Four To The Floor series back in August, ELAX (a.k.a. 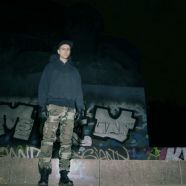 Boys Noize) is returning with his own EP named “Sueño“, which is Spanish for „dream“. And the title track sounds just like one – otherworldly frequencies shifting phases up and down like racy episodes of REM phase. Second track “Rhumba” is pushing the tempo even more, with its late 80’s influenced percussions and bassline, making sure to bring people to the dancefloor. As a special goodie, the vinyl will contain “Reaktor” as a bonus track.